I recently did an Alpine overhead DVD player/monitor in a 2012 Chevy Traverse. It was a very simple straight forward install. If you're getting ready to install an overhead in one of these, you will probably have it in and out in about an hour. I always clean and check the roof of the vehicle prior to beginning the installation, just to make sure there isn't any unknown damage to the roof because lets be realistic, who really pays attention to the outside roof of there SUV. But you better believe after the install, the owner will be up there with a microscope! lol. You will first need to remove the dome light. The side facing the front of the vehicle has several plastic tabs, if you try to pry on this side you will break the tabs off. 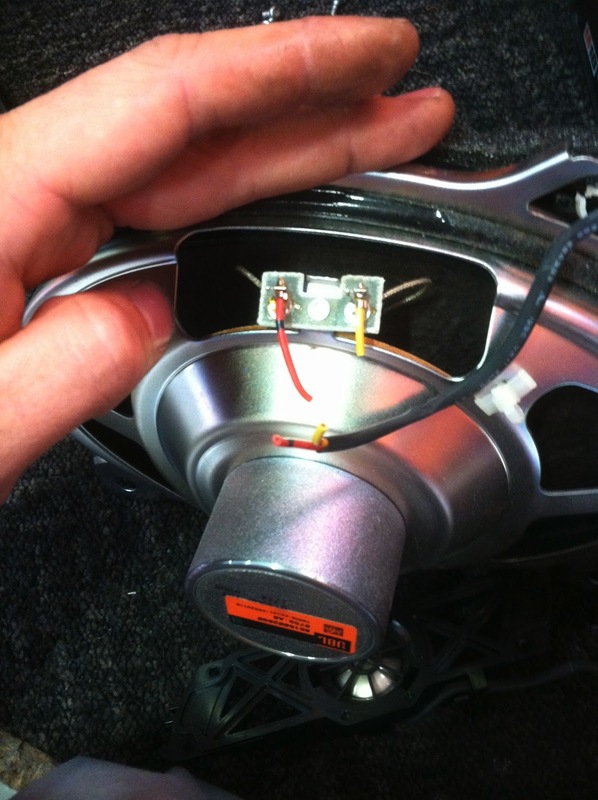 There will be four clips holding the dome light into place, two on the top and two on the side facing the back of the vehicle. Once you got the dome light removed, you will see the top roof support. This is what you want to mount your overhead to. Once I had the wiring done, which was just tapping into the positive dome light wire, 12 volt constant and wiring a relay using the brown "Accessory" under the steering column. I secured the mounting plate to the roof support with several screws. 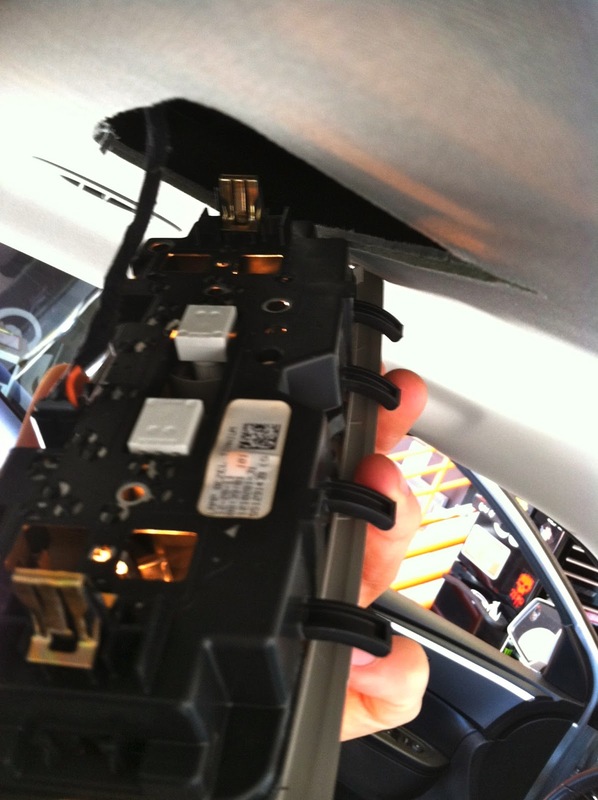 I recommend starting the screws with a small drill or screw gun, and slowly tightening then by hand, Always tripple check the size of the screws being used, make sure they are not long enough to go into your roof support and threw the thin metal that makes up the roof of the vehicle! 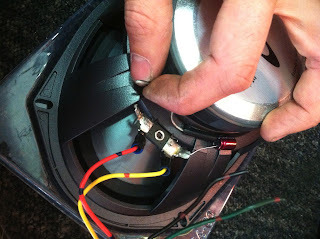 Once the screws are properly tightened I normally put a strips of ducktape over the screws to help hold then in place. 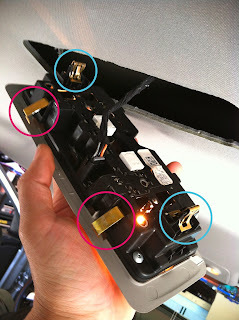 Once you connect your wire harnesses and mount the over head to the mounting plate, your pretty much done. I always check for full functionality of the overhead, dome lights, FM modulator if equipped as well as testing all wireless headphones. 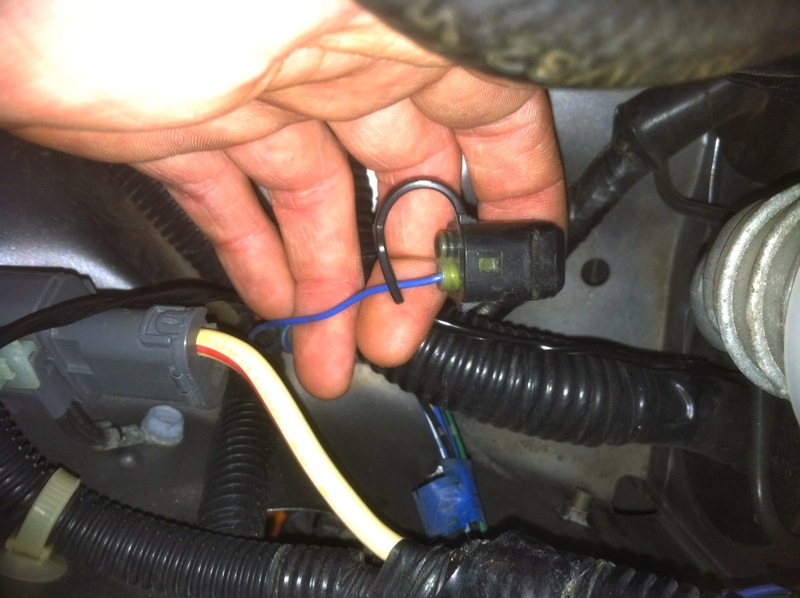 When installing a remote start system, it's always best to tap into a tachometer wire if possible. 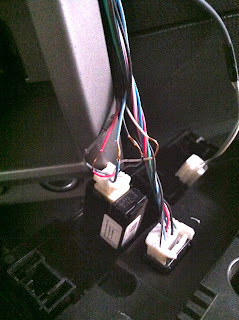 In this 2001 Honda S2000 it couldn't get any easier to find the Tach wire. It should be the blue wire pinned in a black harness, right next to the firewall on the driver side in the engine bay. Normally it's secured with blue tape. 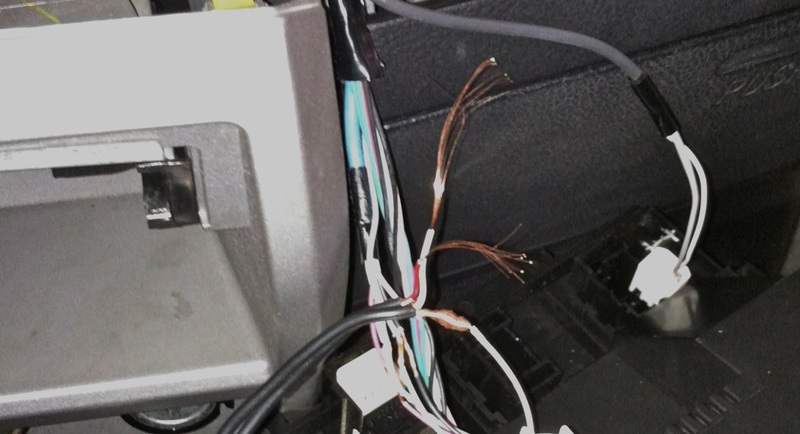 If you are going to be changing out the factory stereo in a vehicle that is equipped with a 3.5 Aux plug located somewhere other than the stereo itself, you will typically lose the functionality of that Aux input plug unless you wire it to the new stereo. 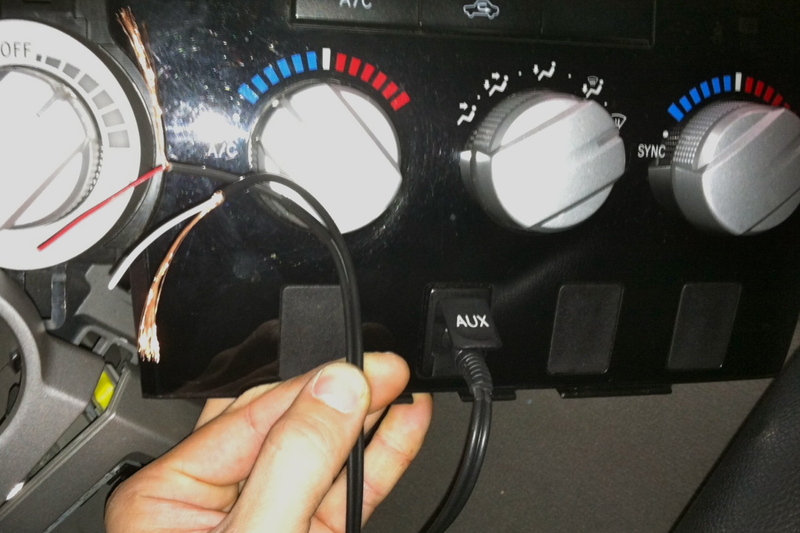 If you would like to keep the factory Aux plug functioning with the new stereo, you will first want to make sure you purchase a stereo with an audio Aux input on the back. The vehicle I will be doing this on is a Second Generation Toyota Tundra. 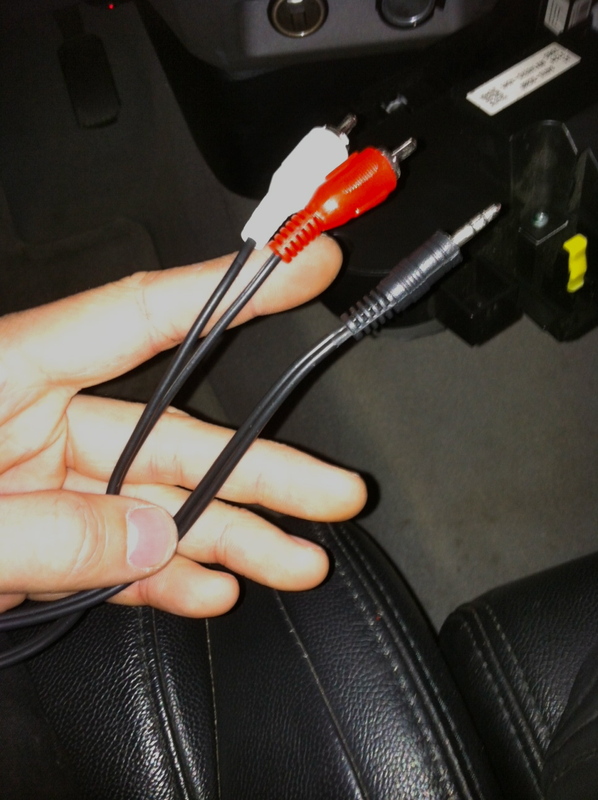 Once you have got your new stereo, you will need to figure out if the audio Aux input on the back is a 3.5 plug or if it is left/right RCA audio plugs. The best thing to do is purchase a basic (3.5 aux to left/right RCAs cable) so you will have both types of connections. 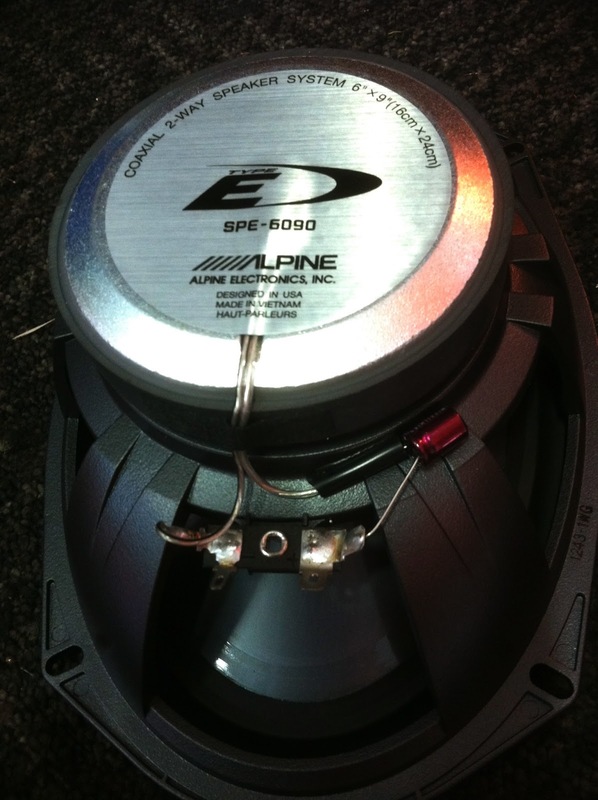 The picture above is what the cable will look like. 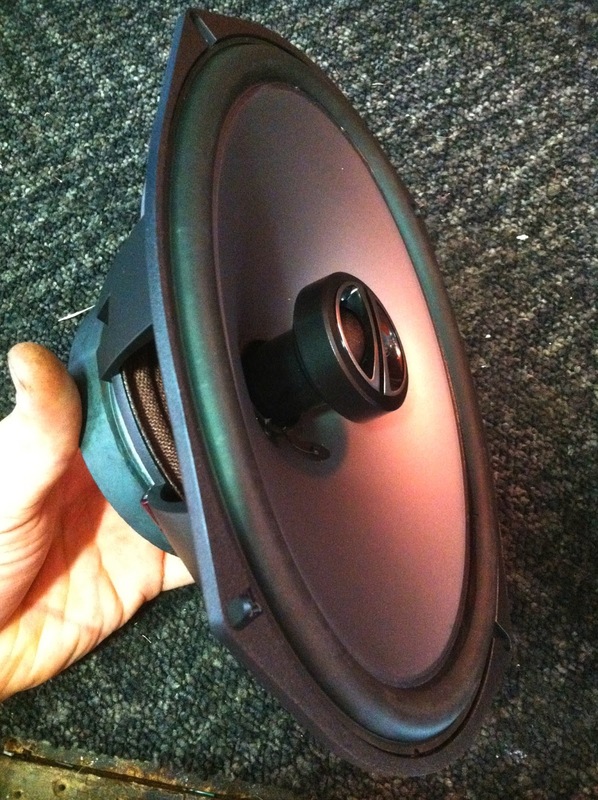 I will actually need both ends for this install. The RCAs to run to the new stereo, and the 3.5 to identify the factory wires coming off the back of the factory Aux plug. 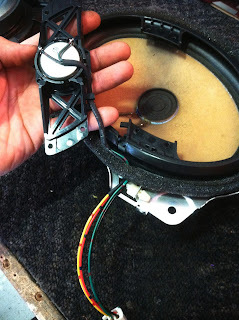 You will then need to cut the 3.5-RCA aux cable, making sure you have enough length on the side you will need to run to the back of the new aftermarket stereo. Then plug the 3.5 Aux side into the factory plug. Now the easy part, you will need a continuity tester. Most multi meters should have the capability of testing continuity. Once you locate the wires on the back of the factory Aux plug, just test continuity between the wires on the back of the plug and the exposed wires coming off the cut 3.5 plug that should be plugged into the front. 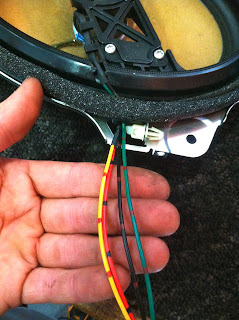 On this Toyota Tundra you would want to connect the wires shielding the smaller gauge red and white wires to the white wire coming off the back of factory Aux plug, because there is continuity between both them. 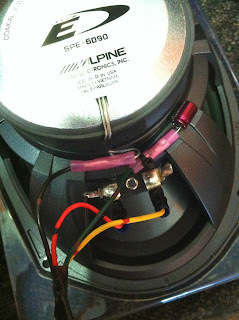 You would then connect the other two wires using the same continuity test. 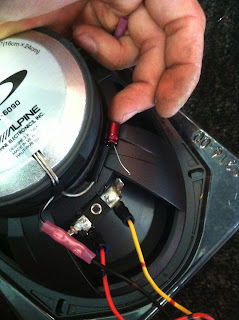 The red wire goes to the black wire coming off the back of the factory Aux plug, and the white wire goes to the red wire coming off the factory Aux plug. 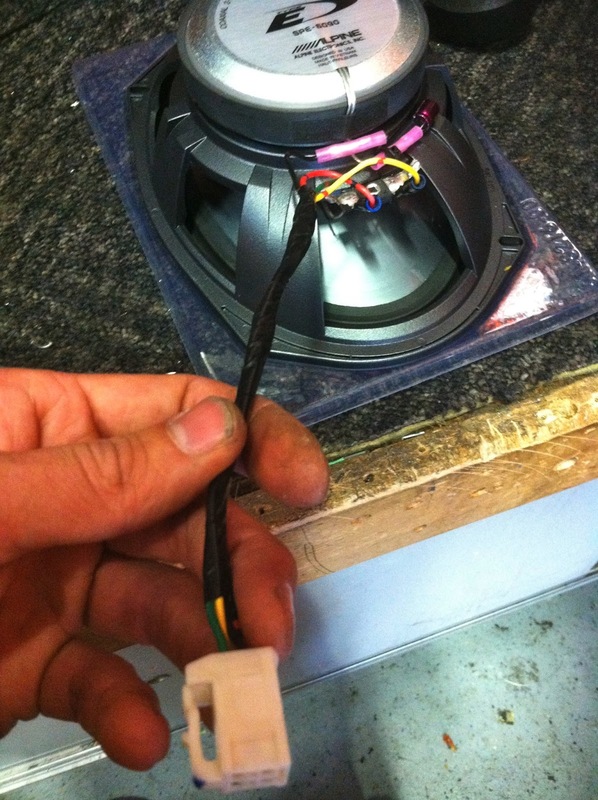 This is a fairly easy process, that can also be used to hardwire audio into the back of the factory Aux plug. 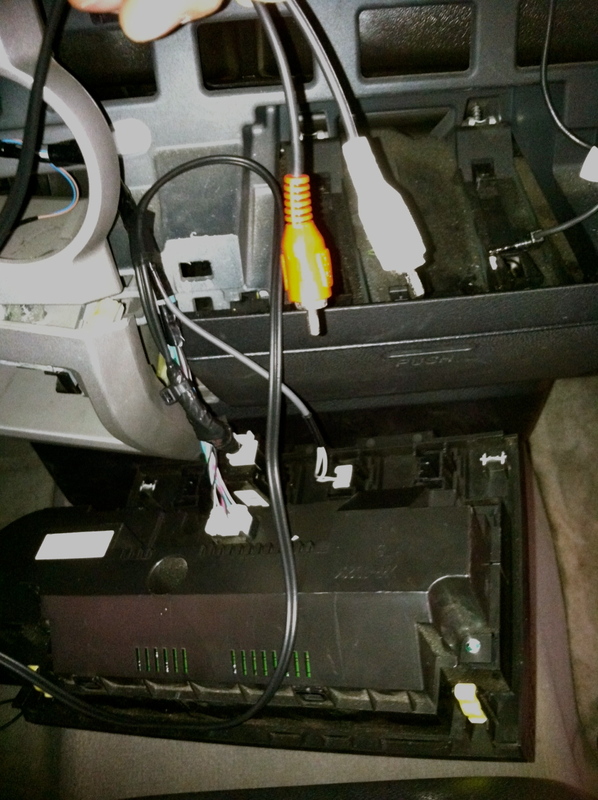 For example if you where keeping the factory stereo and you where installing an overhead, headrest monitors or a portable satellite radio. so you don't have an Aux cable showing to give it a cleaner look.